Beautiful atmosphere. Them days have really gone. 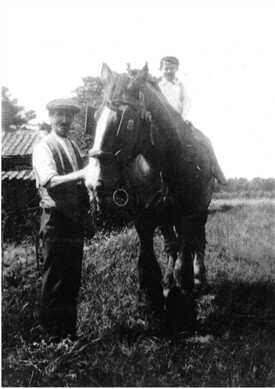 In the 1930s, Luther Ansell was living at Cottage Farm with his family as a manager for the Carter family who owned it. The farm's main produce was vegetables though a little lavender was still grown. Luther had learned to work with horses in his army days and they were the focus of his life.